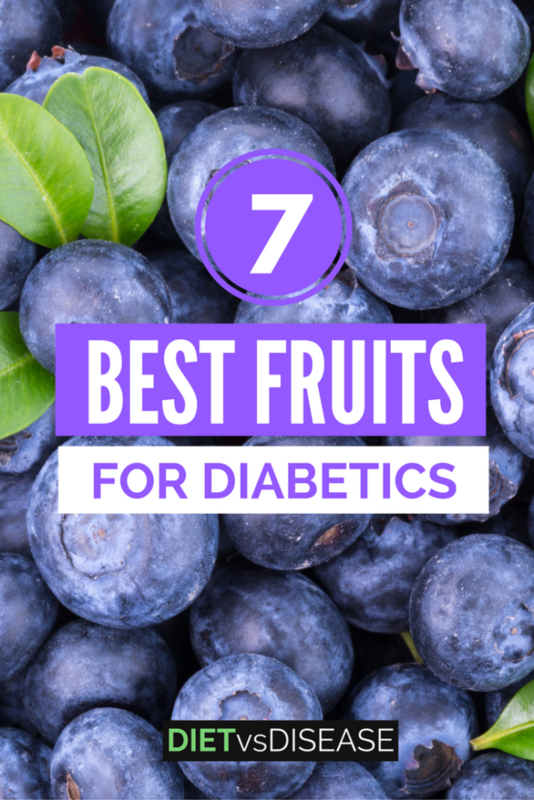 This article takes a science-based look at the most suitable fruits for diabetics. Blueberries are quite low in sugar, with 10 grams per 100 grams of fruit (1). But that sugar is also accompanied by 2 grams of fiber. 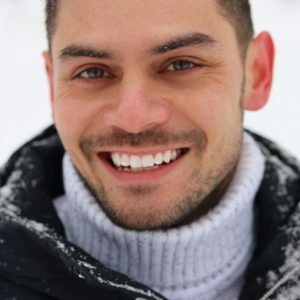 This is important because when sugar and fiber are eaten together, blood sugar levels don’t spike as quickly (2, 3). It’s the reason 10 grams of sugar from fresh fruits will not have the same effect on blood sugar levels as 10 grams of sugar from a candy bar. In addition, blueberries provide loads of other beneficial nutrients and antioxidants that protect our cells from damage. 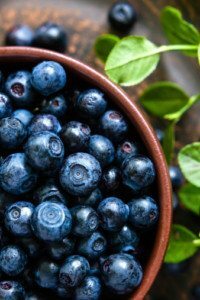 Interestingly, a study on over 187,000 people tracked over two decades found those who ate the most blueberries had more than a 25% lower risk of getting diabetes than those who ate the fewest (4). Blueberries are great for a snack, and you can even enjoy them in salads. Although they can be particularly expensive, know that frozen blueberries are still nutritious and often much more affordable. 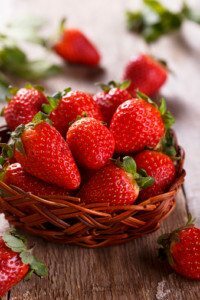 Strawberries contain even less sugar than blueberries, with only 5 grams per 100 grams of fruit (5). This makes them a great choice for diabetics. They also provide fiber, manganese, folate, and a lot of vitamin C. In fact, 100 grams of strawberries (5-6 large strawberries) provides 98% of our daily vitamin C requirements. Strawberries are a great addition to breakfast foods like oats or yogurt, but they are also delicious on their own. 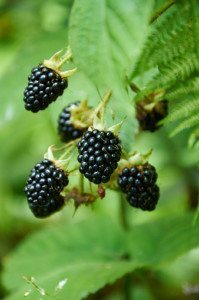 Blackberries stand out as not only the best berry, but perhaps the best fruit for diabetics. Per 100 grams of fruit, they contain only 5 grams of sugar and an impressive 5 grams of fiber (6). High fiber diets help with glucose (sugar) metabolism, and can improve insulin sensitivity too (7). More fiber also improves other health issues related to type 2 diabetes, such as high LDL cholesterol and weight management (8, 9). Blackberries are slightly tarter than the other berries, but are typically eaten in the same way. Grapes contain 16 grams of sugar per 100 grams of fruit, which is more than other in this list (10). 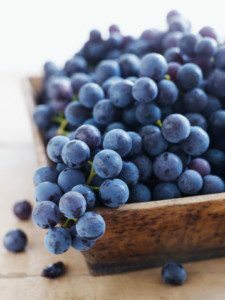 However, research has found that those who ate the most grapes had 12% less chance of developing type 2 diabetes than those who ate the fewest (4). Of course this is only observational research (does not prove cause and effect), but many scientists genuinely believe there is something special about grapes. It may have something to do with the polyphenols in grapes, which have been shown to have positive effects on blood sugar levels (11, 12). Grapes make an easy snack, but are not low in sugar. So they should definitely be eaten in place of, rather than in addition to, another less-healthy snack. For example, replacing a flavoured yogurt or bag of chips would be a healthy step up. An apple contains about 10 grams of sugar per 100 grams, equal to one very small apple (13). It also has about 2 grams of fiber, most of which is in the peel. Like blueberries and grapes, apples are linked with a reduced risk of diabetes. But they’re also linked with a lower risk of stroke, which is a huge risk factor for those with type 2 diabetes (4). One study that tracked almost 75,000 people for over 10 years found those who ate the most apples and pears had an 11% reduced risk of stroke (14). The main takeaway is that apples are a healthful addition to your diet, with or without blood sugar issues. The fact they are affordable, convenient and delicious is just a bonus. Watermelon seems high in sugar, but only has 6 grams of sugar per 100 grams (15). This is because of its high water content, which also keeps it low in calories. Watermelon is also a great source of lycopene. This phytochemical has been shown to improve insulin sensitivity, lower blood sugar and lower risk of type 2 diabetes (16). Just be mindful of the amount you eat at each serving because it’s easy to over-indulge. 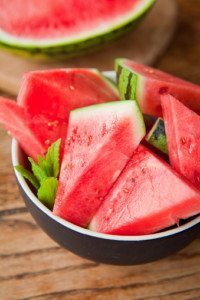 Not only does the sugar content can add up, but watermelon is high in FODMAPs that can cause digestive stress (especially those with IBS). 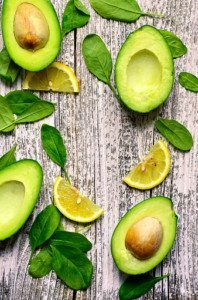 Not a fruit in the culinary sense, but avocados are a great choice for people with diabetes. They contain zero sugar and a whopping 7 grams of fiber per 100 grams (17). Even better, they are high in healthy monounsaturated fats. Research shows diets low in poor quality carbohydrates and high in monounsaturated fats can improve insulin sensitivity (18). Avocados are great in a salad or as a dip. They are even delicious on their own; just add a pinch of salt to taste. With relatively few calories and lots of important nutrients, whole fruits are one of the great options for people with diabetes. Some varieties can be high in sugar though, so they are best eaten in place of – rather than in addition to – less healthy foods. Fresh, frozen, or canned fruits are all healthy choices, but be sure to avoid fruits canned with added sugars or syrups. Fruit juices are also not a good option because they are an unnaturally concentrated source of fruit sugar, without the beneficial fiber. 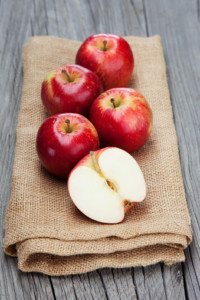 For example one apple juice can be made of 4 or more apples (usually peel is removed), yet you would never be able to eat 4 apples in one sitting. Where possible stick with fruits in their whole, natural form. I am surprised to see grapes in the list. A doctor told me that that a diabetic can only eats 5 grapes a day! Grapes is not good what I was thinking but u have maintained here. Pears are very good fruit. You should add into your list. Very informative though.